Alpine Swiss Women’s 12″ Mid-Calf Faux Shearling Comfort Boots for $19.99! You are here: Home / online shopping / Alpine Swiss Women’s 12″ Mid-Calf Faux Shearling Comfort Boots for $19.99! If you’re looking for a deal on women’s boots, get these Alpine Swiss Women’s 12″ Mid-Calf Faux Shearling Comfort Boots for $19.99! They are available in the five colors pictured above! Keep your feet warm and cozy during the cold winter months with this pair of Alpine Swiss Comfort Boots. The upper lining is comprised of super soft micro suede and these boots measure 12” high with a heel guard for extra support. The shaft is fully lined in faux fur for superb comfort. Alter your look by folding these boots down to expose the lining or keep them rolled up. Constructed of thermoplastic rubber, the outsoles are treaded to keep you stable and prevent slips and falls. 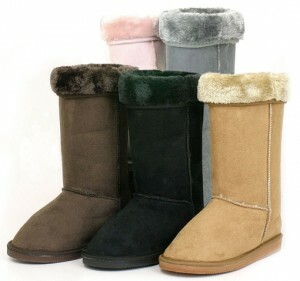 Choice of five colors: black, brown, gray, pink and chestnut. Available in women’s sizes 5-11. NOTE: A shipping and handling fee of $4.99 also applies. 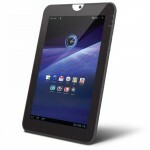 Toshiba Thrive Tablet With 10.1″ HD Multi-Touch Screen, 16GB Memory, Android 3.1 OS, Dual Cameras & Bluetooth for $259.99! 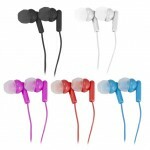 5 pack Vivitar Noise Isolating Earbud Headphones for $2.99 shipped! 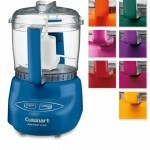 Cuisinart Mini-Prep Food Processor for $24.99 SHIPPED! Memory Collection Flash Sale: SD and Micro SD cards for as low as $2.99 shipped! 1SaleADay Memory Flash Sale: SD cards start at $3.99 shipped!